Medical evacuations, or medevacs as they’re more commonly referred to these days, are pretty commonplace in Survivor. We had two of them in the previous season, and last week’s preview suggested that someone would get hurt in tonight’s episode as well. 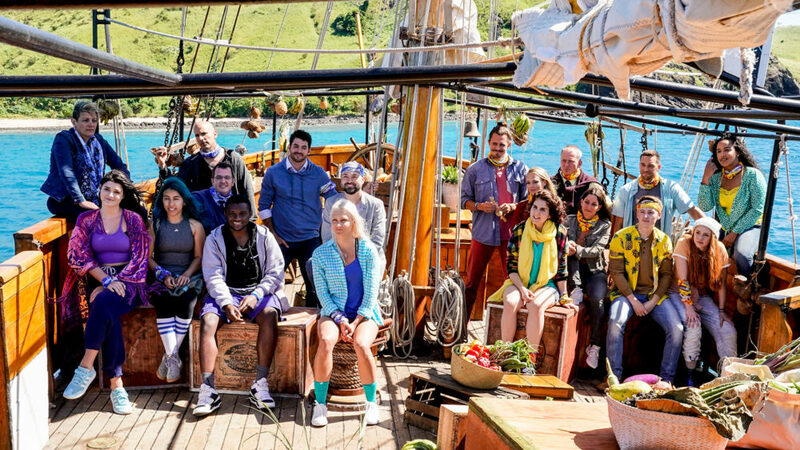 Here’s who got hurt tonight in episode 7 of Survivor 38: Edge of Extinction (2019). As we saw from last week’s preview, the injury happened during the immunity challenge right before tribal council. In the challenge, we were down to three castaways: Victoria, Aurora, and Lauren. The challenge tasked the castaways with balancing a wooden block on their heads while tiptoeing. The challenge went on for more than 25 minutes before one of the contestants started to feel unwell. As hinted at in earlier parts of the episode, Lauren was having a hard time dealing with an empty stomach —made worse by the fact that her group didn’t manage to win the reward challenge in this week’s episode of Survivor 38 either. Even before this episode, the edit had focused on her struggles in the game, and it was clear that she wasn’t doing so well, despite her competent performance in challenges. During this immunity challenge, the edit showed us that Lauren was starting to feel lightheaded in the middle of it, and finally, she blacked out and fell to the ground, prompting the medical team to come in and check on her. Thankfully, Lauren didn’t have to go through a medevac or get pulled from the game, and she wasn’t seriously hurt. After a quick checkup, she was back on her feet even though she ended up losing this week’s immunity challenge. That’s all you need to know about this week’s medevac scare and who got hurt tonight in Survivor 38: Edge of Extinction (2019). Be sure to search for Twinfinite for more Survivor 38-related content.